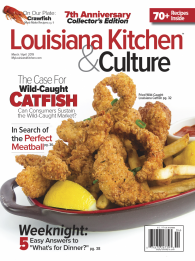 ​Shuck and drain the liquor from the oysters. Rinse the oysters quickly under cold water. Pat dry with paper towels. Toss them in the flour. Coat the oysters entirely leaving no wet spots. ​Beat the eggs with the mustard and salt to combine well. Dip the oysters in the mixture. Coat them completely leaving no dry spots. ​Combine the breadcrumbs, Parmesan, black pepper and parsley. Roll the oysters in the bread crumb mixture. Coat them evenly leaving no wet spots. ​Now put the peanut oil in a deep fryer or deep frying pan. If you are using something smaller, only use enough oil to fill the fryer about three quarters of the way up the sides. Gradually heat the oil to 340˚F by starting on medium heat and increase to medium-high heat. Never put oil in any frying container and turn the heat on high. 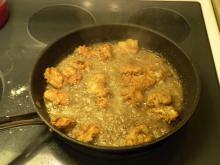 ​Put a dozen oysters in at one time - too many will drop the temperature of the oil. Try to keep oil at 340˚F. Fry the oysters turning them frequently until they are golden brown and float to the top. If your oil is too hot the crust will brown before the oysters cook inside. Remove the oysters and place an paper towel to absorb excess oil. ​Serve at once with your favorite dipping sauce.